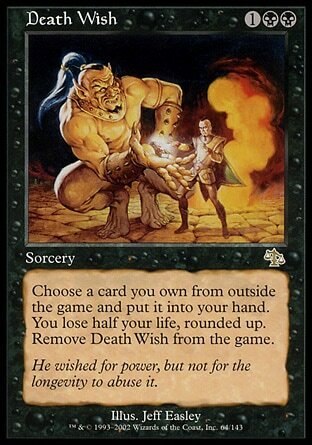 Some of the more popular choices were things like bombs, card advantage, threats, answers, utility, and ramp. The three I had in mind, when I first thought of this article, were pet cards, flavor cards, and staple cards. Those are a bit narrow, why not broaden them a bit and give it some added alliterative appeal? Something like pet, pith, and power. Sacrifice Academy Rector AND gain life? Pet cards are the most straightforward of the three, and the only category I didn’t have to change at all. While they might not be optimal, but they’re cards you enjoy or have a special connection to for one reason or another. My favorite example is, unfortunately, no longer in this deck because it recently found a better home alongside Maelstrom Wanderer, but I absolutely love Dimensional Breach, even if most of the time it lead to me losing. For now, the only cards I’m running in Zur that qualify as solid pet cards without falling into another category are manlands and Starlit Sanctum. This category started as flavor; of course, not everyone builds with flavor in mind, and excluding an entire subset of players from a category didn’t really seem right; so, I broadened the category to “theme cards” or “pith.” Unless you’re playing pure goodstuff, you’re bound to have some of these in your deck. Pith cards are the things that either work with your commander or another theme you’ve put into your deck but aren’t necessarily enough on their own to be pushed into the power category. 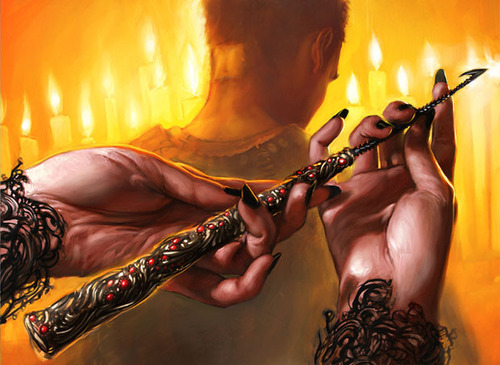 Zur has three major themes; enchantments (of course), wizards, and things-that-can-be-put-on-an-Isochron Scepter. 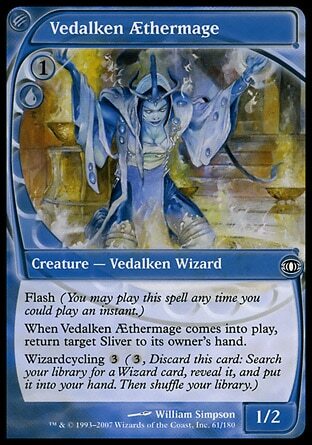 For those, I have things like Greater Auramancy, Vedalken AEthermage, and Memory Lapse. Each of those provides direct support for its theme but would be rather insignificant otherwise. Power started as “staples” but not everyone runs staples (le gasp!). This is, for the most part, actually the category where everything else goes. If it isn’t something that ties into your theme and isn’t a pet card, it’s probably here; most lands are actually in this category as well. 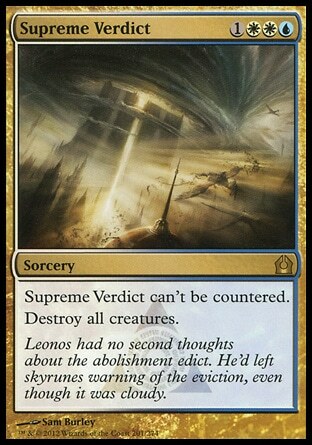 While most of the cards that fall solely in this category, for me, are staples there are also just raw power nonstaples like Supreme Verdict and Faerie Trickery. Of course, most cards don’t fit well into just one category, that’s why they can be combined! Pet cards that fit your deck’s theme. Along with pet/power, these are the cards that make your deck unique and stand out among similar decks. In this case, these are things like Glistening Oil and Lunar Mystic. Cards that are not only on theme but are powerful as well, sometimes these happen to be on-theme staples, but more often they are just extremely synergistic cards. For many Zur decks, Solitary Confinement fits here. 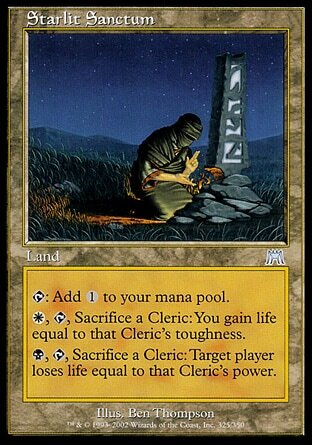 Others include Academy Rector, Cavern of Souls (for most tribal decks), and Isochron Scepter (since it actually makes up a subtheme and isn’t just there as part of a goodstuff package). This category is generally pretty small, things you’re attached to that also happen to be good but aren’t on theme. These tend to be planeswalkers, lands, and/or artifacts. For me, these are things like Ajani Goldmane, Seachrome Coast, and Death Wish. The triple threat, something you love, that’s on theme, and has powerful applications. A rare combination that a large amount of decks don’t actually have. This deck has three such cards, the first two being Necropotence and Zuran Orb. The third is Lim-Dul’s Vault. Aside from also being from Ice Age block, this one isn’t flavorfully connected. 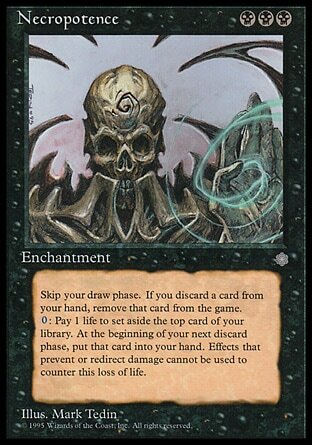 Though it on theme with the Isochron Scepter package and as a tutor effect, it is insane; for me, it’s a pet card because it was one of the first cards I owned and was my first gold card. 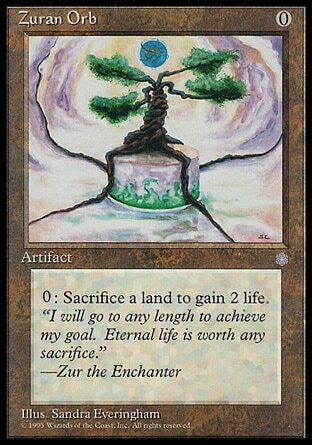 I’m flavorfully obligated to sacrifice a land to draw two cards? I’m ok with this. “Ok, now what? How does this apply to me and what do I do with this wall of information?” you might ask. Well, take a moment to look at your decks. Try to divide them into these categories and see just how much of each you have. There’s probably an imbalance in some of them. Try shifting some of your blindly included staples into something more on theme, maybe bring back some old pet cards you cut for something more synergistic. If you have too many pet cards, try shifting them over to some of your other decks and see how they do there. You don’t need a perfect balance, but even a few shifts can make a huge difference. Try it out, you never know, you might like the results. If you’d like to see my current Zur decklist sorted by the categories I described above, continue on to page two, otherwise that’s it for this week. Next week, be prepared, because I’ll be doing something completely different! I plan on regularly posting questions and other types of audience interaction; the more you interact, the more article ideas/content I have! I’m currently on Twitter , Tumblr, and occasionally the CommanderCast Facebook page, so go ahead and follow/like/whatever you want to do. Or you could just use the comment section down there if that’s what you prefer.